The great debate over which is better — Starbucks or Dunkin’ Donuts — is sometimes stronger than the caffeine in my Medium Iced Caramel Latte. Over the last few years, my morning has consisted of riding the escalator up and out of Penn Station while tapping away my order via one of the two apps so I can just swoop in and grab my drink on my way to the office. The convenience factor is real, but it’s even better when I realize I’ve earned a free drink reward. It doesn’t matter where it’s from, it just matters that I’m saving money (who doesn’t like free stuff?!). If you’re like me, you may not have a loyalty to one of the two brands. For others, they wouldn’t dare be seen in a Dunkin’, or without their cold brew from Starbucks. Regardless, both groups need to listen up because I’m breaking down the cost of my favorite drink to finally figure out which app is ultimately better for all of our wallets. 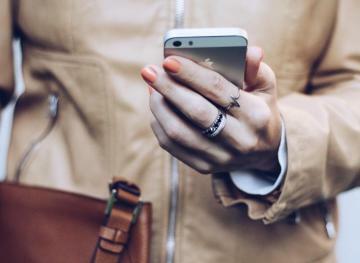 The two apps allow customers to order ahead and pick up their drinks in the store, all while earning rewards via their respective programs. Starbucks offers two stars for every $1 spent, with customers earning a free food/drink reward for every 125 stars they rack up. Additionally, there are more ways to earn stars, such as ordering a drink between certain afternoon hours on specific days. 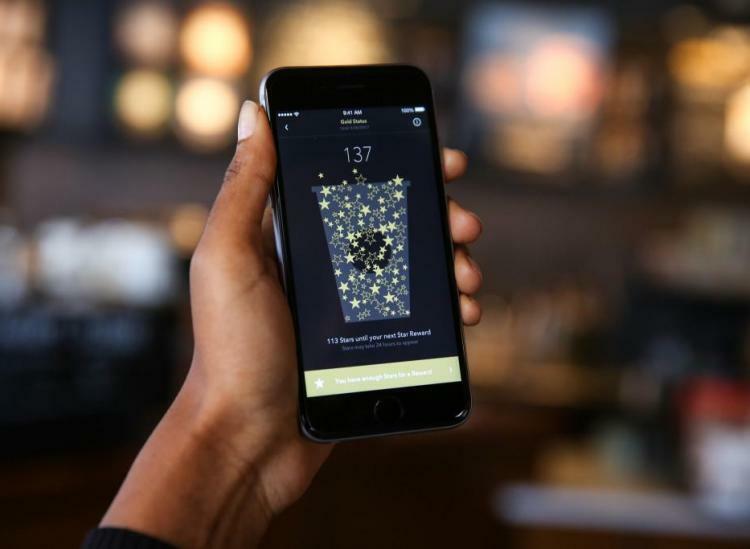 Lastly, all customers receive a free drink on their birthday as long as they’ve signed up for the rewards program and ordered at least one drink via the app. For this comparison, we’ll use my fave drink: Grande Iced Caramel Latte. This drink costs $4.95 before taxes when ordered via the app in New York City, and earns me 9.9 stars. If I was to order this drink every weekday before work, it would take me 13 days to rack up the 125 stars I need for a free drink. That’s a total of $64.35 that I need to spend before getting my free drink, which is only worth $4.95. Dunkin’ Donuts, on the other hand, offers five points for every $1 spent, with customers earning a free drink reward for every 200 points they rack up (note, Dunkin’ Donuts’ reward is only for a free drink, unlike Starbucks, which allows you to use it on a food item if you so choose). Additionally, like Starbucks, customers receive a free drink on their birthday (with no stipulations that we could find). 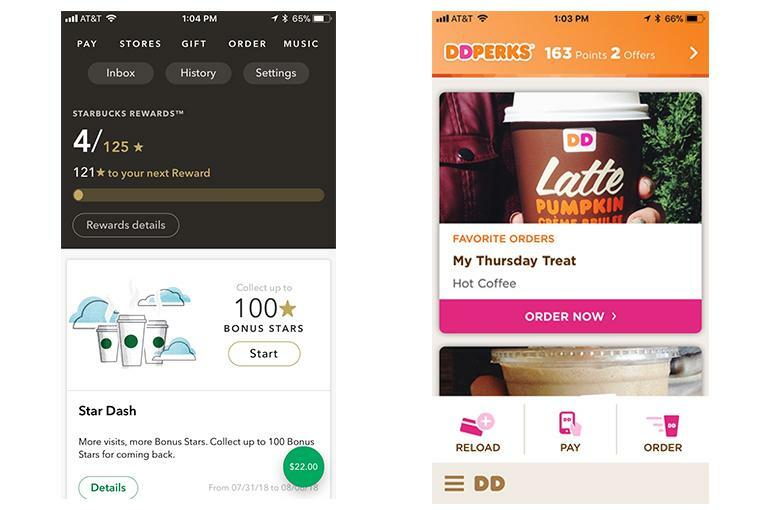 However, unlike Starbucks, Dunkin’ customers also receive a free drink when they sign up for the app, which is pretty sweet. Looking at my fave drink again, the Medium Iced Caramel Latte from Dunkin’ costs $3.79 before taxes when ordered via the app in New York City, and earns me 19 points. If I was to order this drink every weekday before work, it would take me 11 days to rack up the 200 points I need for a free drink. That’s a total of $41.69 that I need to spend before getting my free drink, which is only worth $3.79. When comparing the amount of money I need to spend at both stores in order to earn a free drink, there’s no comparison: Dunkin’ Donuts is the more affordable option. By ordering my fave drink at Dunkin’ every day for 11 weekdays straight, I save $22.66 because the price of the drink is cheaper and I hit the 200-points mark two days sooner than I would at Starbucks. 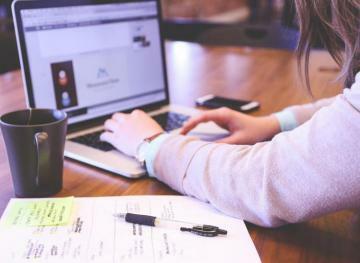 Depending on your financial situation, this might not seem like a significant amount of savings, but it can seriously add up. If I ordered my Medium Iced Caramel Latte at Dunkin’ Donuts every weekday during the month of August, I would earn a free drink on the 15th and 31st. I’d only earn a free drink once in the month of August if I ordered my drink at Starbucks, on the 17th. But here’s the extra shot of espresso: Over the course of one year, I’d be able to earn 21 free drinks at Dunkin’, which comes out to about $79.59 in savings. I’d only be able to earn 18 free drinks at Starbucks, which is worth about $89.10. 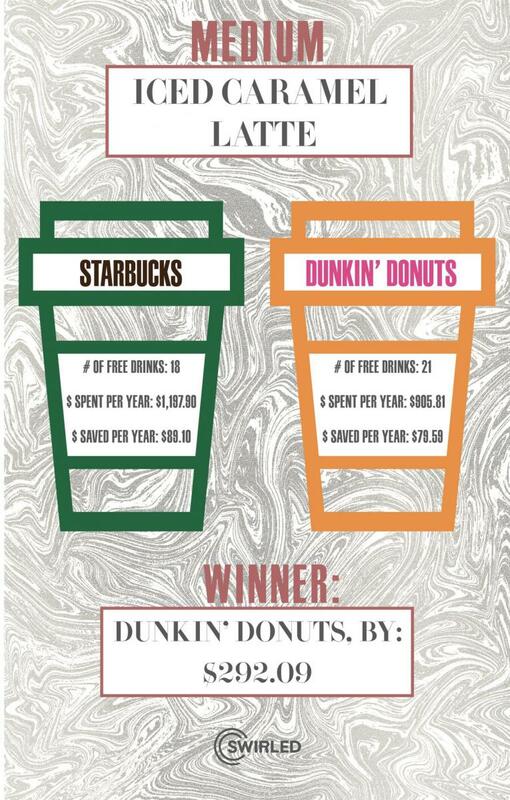 To earn 21 free drinks per year at Dunkin’ Donuts, I’d have to spend a total of $905.81. But to earn 18 free drinks per year at Starbucks, I’d have to spend a total of $1,197.90. That’s a difference of $292.09! By ordering my Medium Iced Caramel Latte through the Dunkin’ Donuts app every weekday for a year instead of the Starbucks app, I could be stashing that extra $292.09 in my savings or investment account. Add that total to the amount I would save by getting a free drink 21 times throughout the year, plus the one free drink I would get on my birthday, and my total savings for the year comes to $375.47. Now that’s my cup of tea, err, coffee. Of course, the prices of our fave drinks may differ from city to city. And, depending on your caffeine intake, you may rack up stars or points a lot faster than I would. But overall, we’re thinking we have a winner. My condolences to the Starbucks-lovers out there, but it’s really no contest when it comes to saving money: the Dunkin’ Donuts app is the more affordable option. If you can make the switch, your savings account, and local barista, will thank you.